Tipped to succeed Hathurusingha for World Cup? Gunawardene during his playing days for Sri Lanka. Without much fanfare and in his own inimitable way former Sri Lanka Test and one-day opener Avishka Gunawardene has become his country’s most successful ‘A’ team coach and with luck may even end up as the head coach of the national team for the 2019 World Cup. Such are his credentials with the ‘A’ team that Gunawardene could be a strong candidate for the top position with the present coach Chandika Hathurusingha coming under tremendous pressure with a misfiring Sri Lanka team and having his wings clipped as a selector following Sri Lanka’s three-day innings thrashing at the hands of Australia in the first cricket Test at Brisbane last week. Gunawardene has been part of the national team as their one-day batting coach during the home series against India in 2017 and has been summoned once again to play a similar role for the Test side in the ongoing second Test against Australia at Canberra in the absence of appointed coach Englishman Jon Lewis. Avishka Gunawardene in his role as batting coach of the national team gives a few tips to Kusal Mendis at the nets. Apart from two defeats in one-day series at the start of his tenure as ‘A’ team coach in May 2016, Gunawardene has an unblemished record being unbeaten in six unofficial test series and six unofficial ODI series, two of which – the ACC Emerging Teams Cup they have won in 2017 and retained the title in 2018. Sri Lanka ‘A’s recent success was over Ireland ‘A’ at home where they won the two-Test series 1-0 (1 drawn) and made a clean sweep of the five-match ODI series 5-0. Gunawardene said he attributes this success to being in the system as coach for 12 years. “Almost all the cricketers have worked with me at some point either at the club (SSC), provincial level, under 19 or ‘A’ level so I basically know them forever from the time they started their cricket. It becomes easy for me because I get to know the players well and it is easy to work with them. “Some you need to put your arm around and be nice to them, some need to be treated like a principal, but when you get to know them you treat them accordingly. You have a set of rules but you handle them differently. Some boy’s habits are different, some like a lot of information. Guys who have a lot of natural talent I don’t give them a lot of information because naturally they are very talented. The moment you give them a lot of information they tend to forget their natural ability and tend to focus on the information I give. There are certain guys whom we know have limited talent but they depend on a lot of information, a lot of training and all that. It makes your job very easy when you’ve got to know them very well - what to say and what not to say,” he said. The most important role of a coach according to Gunawardene is winning the trust of the players. “If you take my track record with SSC, provincial tournaments and ‘A’ team, players open out to me a lot. And more than anything I keep things very simple. I do not complicate them. I also make sure the dressing room atmosphere is good. I always start a conversation about cricket in the dressing room so that their focus doesn’t divert from cricket to anything else. Sometimes they start joking and it’s good in a way to take their minds off cricket but I make sure it doesn’t go beyond that. After sometime I start another conversation on cricket. Dressing room atmosphere is very important,” he emphasized. Gunawardene is a great believer of not to tamper with natural talent. “When it comes to elite level there is very little technical work that you might have to do if something is going wrong. The players have been successful in their own technique that’s why they have ended up in the ‘A’ team or senior team. “By the time they are 20-21 they have developed their own techniques, if at all it is a technical issue it needs only fine tuning that is all about getting them to know their game better. Some players don’t know how good they are, some don’t know where their strengths are. They know their weaknesses but tend to forget their strengths because they concentrate more on their weakness. An explosive left-hand opening batsman in the Sanath Jayasuriya mould, Gunawardene quit international cricket rather early at the age of 29 representing his country in 6 Tests and 61 ODIs between 1998 and 2006. Last year Gunawardene got through the ICC Level 3 in coaching that qualifies him to coach globally. He keeps himself updated with the latest methods. “I do get updated but it doesn’t mean that I apply everything. You take what is required for your team. “But more than anything its experience, it is something that you cannot buy like you do in a supermarket. The more you experience with different players the more it makes your job easy. “Sri Lanka has a brand of cricket. Like West Indies have their Calypso cricket we have our own unique way of playing. If you look at players like Murali, Sanath and Aravinda they had their own way of playing cricket. “I personally feel if there is natural talent I don’t mess around with it, I only fine tune them with the latest methods and theories and all that and keep an eye on them. You take what’s good for Sri Lanka cricket. Our culture is different the way our boys think is different. A lot of boys are very emotional, that is our culture. “You tend to take decisions with your heart more than your mind. 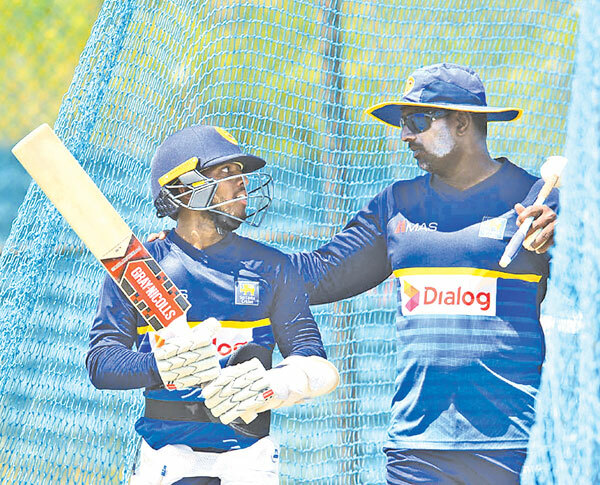 They don’t know how to control their emotions,” said Gunawardene who gave credit to his support staff and the coaches at the High Performance Centre for the ‘A’ team’s success.